2012: Our Last Summer Ever? Anyway, I think we all know what the Movie of the Summer was, don't we? We don't even need to debate. 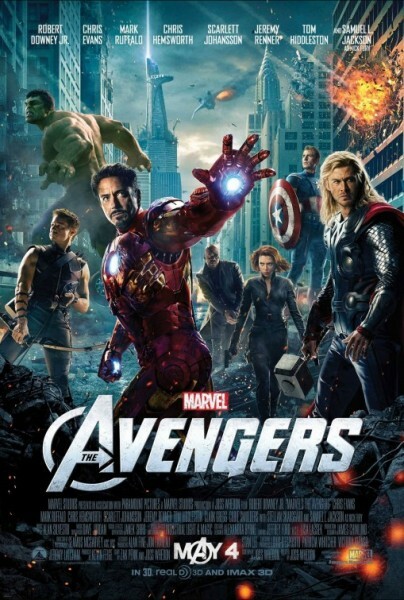 It's The Avengers. Clone Wars Rewatch: 2.19 "Zillo Beast Strikes Back"
Cookie: “The most dangerous beast is the beast within.” Isn’t that an allegory we get all the time? The giant monster isn’t the true monster, it’s the little people plotting! It’s not zombies you should watch out for, it’s other survivors! Of course, viewers in the know are aware that one character in particular has a monster within that the other characters don’t know about. And even in his public persona in this episode, he makes some questionable calls. I’m surprised there aren’t any objections raised about bringing the beast back to Coruscant specifically. There are plenty of worlds in the Republic. Surely one could be used for research without putting such a densely populated planet at risk. Heh. One of the clones says “stand your ground”. Ask Gandalf how that might work out for ya. Oh wait, Mace brings up the Coruscant objection. But he doesn’t suggest studying it somewhere else. I thought Dr. Boll might have been a stylized Ongree. Turns out her species is a Bivall. Which means her mouth doesn’t have to be above her eyes. I do like that beast’s angry, glowing green eye. Looks pretty cool. When the Zillo Beast escapes, why does that AT-TE just sit there? It didn’t get hit by the doors. I love the guy in the building that actually somersaults over the table to get out of the room. Gotta love Corsucant. So vast even the Zillo Beast looks miniscule. There’s something very satisfying in seeing what appears to be genuine fear in Palpatine’s eyes. Not every day one of his plans backfires. Threepio gets in a “We’re doomed!” Yay! Heh. And Palpatine gets the “bad feeling” line! Nice to have Aayla back. And she even gets a line this time! Man, think of all those times the Jedi strain to save Palpatine. Poor saps. Seriously, Threepio takes like a twenty story fall and isn’t any worse for wear. He must have really deteriorated in twenty years to lose an arm after tripping on Tatooine. The Zillo’s dying screams are kind of sad to watch. Next: The past catches up to Mace in “Death Trap”! Clone Wars Rewatch: 2.18 "The Zillo Beast"
Cookie: “Choose what is right, not what is easy.” Controversially, that probably applies to Mace’s position in this episode, at least he would think so. Overall, this tends to be the light side vs. dark side debate and a theme that runs through much Good vs. Evil fiction. One of the Harry Potter films almost had these exact words run over the title of its trailer. Welcome to Malastare, which I’m sure somehow contradicted part of the EU. Pretty sure some of the online crowd was sad about that. Hard for me to care. I’m okay with Dugs ruling the planet instead of Gran. I mean, it got Dugs into The Clone Wars, didn’t it? Those proto X-Wings make their Clone Wars debut! I was happy to see those. ARC-170s, according to Wookieepedia. I’m wondering why we haven’t seen more of this EM bomb used against the Separatists. It’s not like every planet they drop it on is going to have a giant beast sleeping underground. Love that the bomb makes Anakin’s artificial arm malfunction. Okay, I guess that sinkhole didn’t necessarily happen because of the Zillo Beast. Might not want to leave a giant crater on every planet you fight the droids. Mace gets the “bad feeling” line for, I think, the first time. Speaking of scream, the Zillo actually has a pretty cool one. Unique. I wonder if this is what playing Shadow of the Colossus is like. Mace Windu: The Jedi Order’s PETA representative. It is a major assumption for Mace to believe this is the last Zillo. Just because the Dugs thought them extinct obviously doesn’t mean they are. There could be others out there, hidden in the depths. Not a terrible episode, but I'm not completely sure why it and its arc exist. Next: Go from Godzilla to King Kong in “Zillo Beast Strikes Back”! 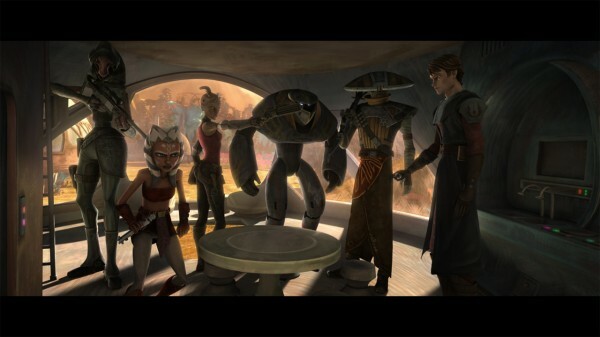 Clone Wars Rewatch: 2.17 "Bounty Hunters"
Courage makes heroes, but trust builds friendship. I would imagine referencing both helping the farmers learn to defend themselves and the Jedi and bounty hunters teaming up to fight the pirates. Back to Felucia. Good to see you. TCW’s big three, Anakin, Obi-Wan, and Ahsoka! “That’s not good!” No, Obi-Wan, it’s not. Nice discussion about Anakin’s crashing ways. Though he manages to destroy the droid fighters in the process. “We crashed the ship your way.” Yay for snappy dialogue! Here’s a Hammer! Pretty sure the Felucians here do not look like the Felucians in The Force Unleashed. Though the planet could have more than one sentient species. All right for Dave Filoni-voiced Embo! When I first saw this episode, I thought the village chief sounded a lot like Mako a.k.a. Uncle Iroh on Avatar: The Last Airbender. Turns out, the actor is the guy who was basically Mako’s protégé and voiced Iroh in the last season of Avatar, after Mako had passed. Obi-Wan, always looking at the big picture. He’s certainly more of an outright villain this time around. If there’s one flaw that this episode has, it’s the annoying farmer with the glasses. Man, I wish they had killed him in the final fight. “Says the peacekeeper who failed to keep the peace.” Zing! Seriously, Obi-Wan could have chemistry with a tree. You know there are Obi-Wan/Sugi shippers out there somewhere. I remember Ahsoka’s “You don’t have to look tough to be tough” line causing controversy online. Mostly among the anti-Ahsoka crowd, even though it’s basically Yoda’s “Judge me by size, do you?” idea rephrased. As soon as I saw this episode, I wanted Embo and Cad Bane to share an episode so they could have a Cool Hat-off. Fortunately, season four provided. I think we’re all glad they didn’t kill off Embo like originally planned. Anakin not immediately trouncing Hondo was controversial, but I doubt you can survive in the underworld as long as he has without some fighting ability. The first time I saw this episode, I thought for sure Anakin was going to kill Hondo, taking another step to the dark side. They just couldn’t let Hondo go, though. Next: Pay homage to monster movies in “The Zillo Beast”! 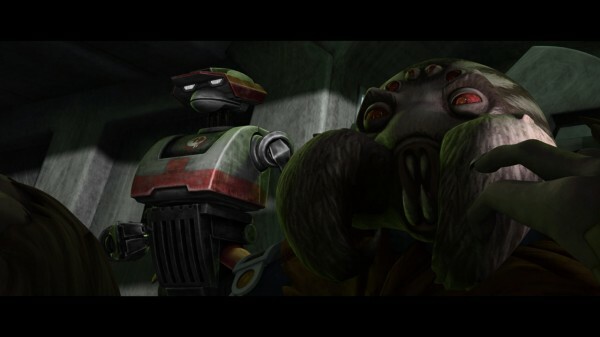 Clone Wars Rewatch: 2.16 "Cat and Mouse"
Cookie: “A wise leader knows when to follow”. I’m sure this will apply to Anakin somehow. So, we’re back to Christophsis, before even “The Hidden Enemy” in the timeline. Yeah, three cruisers and three support ships is not nearly enough to break that blockade. Ah, Admiral Trench. His voicing performance reminds me of Megatron from Transformers: Beast Wars. One Republic cruiser. Gee, thanks Obi-Wan. All right, so we have a Hammer here. In the EU, cloaking devices not only blind sensors on the outside so they can’t detect the ship, but they also blind the cloaked ship’s sensors, meaning you can’t see anything when you’re cloaked. Kind of a dumb rule, but I suppose they needed a reason you didn’t see them in Star Wars all over the place. I’m okay with that not being the case here, though. I like the stealth pilot clone helmet. Very cool. Nice that Yularen gets a central role in an episode for once. It seems like spider characters on TV always have six eyes. Maybe eight just looks like too many, even if it would be accurate. Strange to me that the Hyena Bombers actually sound like hyenas. You know, this is space. Thinking about it, they could have simply taken their cloaked ship far wide of the blockade and avoided nearly getting hit by the Separatist bombers. “Help us, General Kenobi. You’re our only hope.” Knew that had to come at some point. I do like the battleship vs. submarine scenario we have here. Fun stuff. “Hello ugly.” I think that’s one of my favorite Lanter line deliveries up to this point. Wow, Trench is one dramatic cat. “Well, no ship this small usually has a cloaking device.” Nice nod. Well, Trench does take death with dignity. Nice, tense little episode. I enjoyed the revisit. I forgot that this was really the first mission together for Anakin and Yularen. Next: Time to rise with the “Bounty Hunters”! 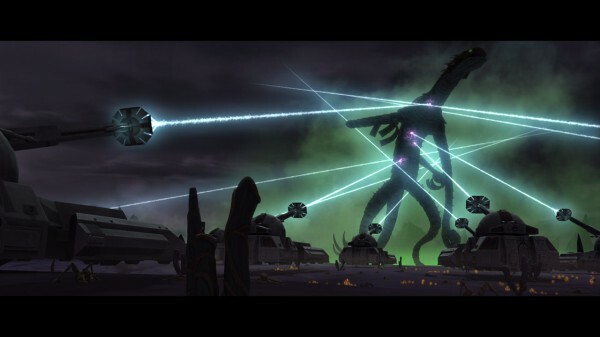 Clone Wars Rewatch: 2.15 "Senate Murders"
Ergh. Not looking forward to this one. Cookie: “Searching for the truth is easy. Accepting the truth is hard.” Something Padme is reminded of in this episode. Then again, the truth in this case was never going to be a pleasant one. This will be important later for chronology. Padme at this point is trying to prevent more clone troopers from being created, so the debate for the bill is still happening. Now, let’s address that idea. Padme wants to cut military spending in the middle of a major war. A war on which the survival of the Republic depends. This makes absolutely no sense to me. This is like cutting military spending in the middle of 1943 because training more troops is going to freak the Axis out and prolong the war. What does Padme think will happen here, if the Republic scales down its forces the Separatists will just retreat behind their borders? I can understand being against war, heck she’s still calling for negotiation in Episode III, but handicapping yourself hardly seems like the way to do it. Mon Mothma, getting some dialogue! Senator Deechi? More like Senator Dracula! Okay, she might have something of a point about war spending bankrupting a government. That’s often a concern. Halle Burtoni. Don’t get much more veiled than that. “This war will not end soon!” Um… yay? Duchess Satine making kind of a random cameo there. Oh, Lt. Divo. Part of me kind of enjoys the quirky old fashioned detective, part of me thinks between the look and the inflection of the character, he just doesn’t belong in Star Wars. It doesn’t bother me that he hasn’t shown back up. Well, not in any major way, that is. I kind of love how even Deechi’s office is dark and sinister. Man, Burtoni is so rude. Or wude, as Jar Jar would put it. For whatever reason, I’ve always liked the moment where Padme and Bail draw their sidearms. Maybe because of Padme’s kind of cocky confidence. Anakin’s rubbing off on her a little bit. I wonder if Jimmy Smits or Natalie Portman ever reflect on their animated forms. I suppose the same could be said for Ewan, Hayden, Ian, Sam, etc. Divo’s a cop. Couldn’t he hold Padme and Bail if he wanted to? Obstructing with an investigation or something? The crooks always give themselves away on kids’ shows. And often on Law and Order, too. Palpatine smirking at this situation is hilarious. “He was sorry!” Great defense there of Ono's mistakes there, Padme. Delivering the knockout blow is pretty good, though. Kind of funny that she tenderly pulls her hand back immediately after. Like it's improper for a senator to punch someone out. Chronology note: the clone production is approved. Padme’s side fails. I think we get two or three episodes in season three that take place before this vote. Next: Travel back in time and out of sight in “Cat and Mouse”! Clone Wars Rewatch: 2.14 "The Duchess of Mandalore"
Cookie: "In war, truth is the first casualty." As Satine is about to learn all to easily. 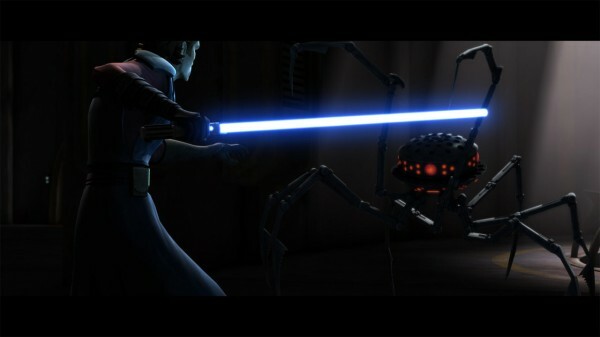 At this point, Satine has been betrayed by Vizsla and Merrick, two of her allies. She also thinks here that Jerec has turned against her and later we find Almec isn't on the up and up either. This perfect little society of hers is way more corrupt than it looks. And maybe, just maybe, it's ready to fall. That's definitely Matt Lanter as the Mandalorian soldier. Uh, hey there Padme. Who invited you again? Satine has something of a point about a Jedi calling anyone foolhardy. Though they usually have a good reason for being so. It's nice to see the Republic being kind of corrupt here. Let's us see that even though the Empire is much worse, the Republic had its own problems in its final days. Mon Mothma! I think this is her first appearance on the show. Ah, the good old days of Ithorians everywhere! That Mando assassin sounds a lot like Bossk will at the end of the season. I like the behind the scenes info that that Ithorian is trying to tell the clone cops he's seen Satine, but that they can't understand a word he's saying. Nice sweeping shot of hooded Obi-Wan. I like the fact that Satine realizes the Senate might search Obi-Wan before he does. The post-explosion muted sound is always fun. Ah, "Obi". First Ani, now this. I wish Lucas had let her call him Ben. OT line! Sort of. "Excuse me, I believe you were looking for me." They were still being fairly subtle with Palpatine's reactions here. Dooku has "other ways" to accomplish their goal. Apparently, he never gets around to trying them. Mas Amedda is such a sleaze. Next: Intrigue and death in “Senate Murders”! Clone Wars Rewatch: 2.13 "Voyage of Temptation"
Cookie: "Fear not for the future, weep not for the past." I'm sure the past would refer to any regrets Obi-Wan and Satine might have. As for the future, well, that's often what the Jedi are all about. Cody and Rex. Pulling out the big guns. For once, it's Anakin smirking knowingly at Obi-Wan. "Half truths and hyperbole known as Obi-Wan Kenobi." Nice description. It's a bit of a contradiction between the relationship Obi-Wan and Satine at the end of last episode and the beginning of this one. Maybe she's putting up more of a front for her fellow politicians, though. Like she says, she's the representative of all of these systems, so she has to put forth their point of view in the clearest way possible. "Even extremists can be reasoned with." This line leads to a little bit of contention between me and the Clone Cast. They felt that by definition, an extremist would not negotiate hence making them an extremist. I would contend, though, that an effort can be made to deal with them diplomatically, possibly pulling them away from their more extreme views. That's what compromise has had to be about throughout history. So I think Satine has a point, but she does need to accede that some of Obi-Wan's points are valid. Ironically, she's being kind of extreme in her views and Orn Free Taa of all people is the one with the most reasoned statement. Then again, the hardening of both stances likely has more than a little to do with their history together. Obi-Wan's glare to Anakin's "sounds romantic" line is classic. Obi-Wan uses the Force to pull out a chair. A little surprising to see it used so mundanely. "Looks like the contents of this box are missing." Wow, thanks Rex. Obi-Wan gets another "not good". The Redeye walk is just a little creepy. Anakin has more trouble with that assassin droid than I'd expect. I don't even want to know what those mini droids are doing under that trooper's helmet. "This line of questioning borders on torture"? I think Satine might be overreacting a little here. Obi-Wan's line about the droid liking Merrick has shades of the Tribble not liking the Klingon agent in Star Trek's "The Trouble With Tribbles". "What about the mother?" "Haven't seen it." Awww! Nice jump. Obi-Wan's pretty touchy when it comes to Satine. Little surprised the Mandalorian guards don't have blasters at all. Quite a bombshell by Obi-Wan. Would've left the Jedi for Satine. Too bad Satine doesn't know how to set a gun to stun. "Who will strike first and brand themselves a cold blooded killer?" Anakin: "I will!" Anakin did what needed to be done. But he was practically smiling about it. She's not sure about the beard. I wonder what she would have thought about the long hair. 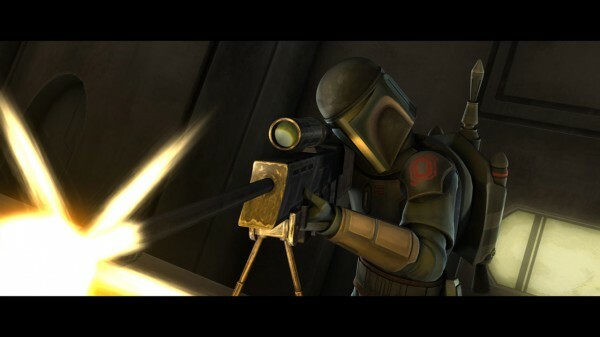 Next: Mandalorian assassin in "The Duchess of Mandalore"! 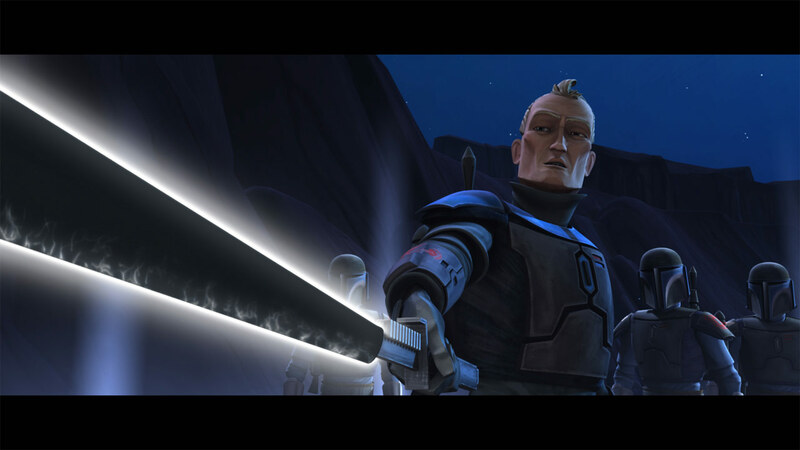 Clone Wars Rewatch: 2.12 "The Mandalore Plot"
And the controversy begins! Boy did these episodes throw the fans into a fit. Mandalorians, pacifists! Mandalore, a wasteland! The planet of Concordia, not Concord Dawn! Jango Fett, apparently not a Mandalorian. And all kinds of fallout for Karen Traviss' continuity choices. So, revisiting them should be a blast! Cookie: "If you ignore the past, you jeopardize the future." Say what you will about this show's writing quality and its overall story arc, but I've liked this idea when it comes to this new Mandalore ever since we saw it on the show. I think we get hints between this episode and the Maul arc in season five that there are plenty of problems with Satine's carefully constructed pacifist society. Mandalore can't just bury its past, as we see beginning in this episode and finally reaching its culmination three seasons later. The Council of Neutral Systems. I've wondered what some of the other 1500 systems represented by this council might be. Ah, there's the Duchess and that giant headdress of hers. That thing is crazy. Almec has Boba Fett's chest symbol actually cut into his hair. In fact, that hexagon is all over Satine's throne room. Greg Proops! Satine basically ignoring him reminds me of Bail's first scene in Attack of the Clones. Death Watch originated in the EU, an opposition group to the True Mandalorians who mentored Jango Fett. That Death Watch also had a leader named Vizsla. In essence, Dooku's initial plan is pretty much the same as Maul's three seasons later. In both cases, some outside threat endangers the Mandalorian people and the Death Watch are their saviors. That suicide was pretty shocking, particularly for a kids' show. Satine speaking Concordian makes her sound pretty Lord of the Rings elvish. Makes the whole Cate Blanchett resemblance even more blatant. There's our man, Pre Vizsla! Obi-Wan and Satine have a pretty entertaining back and forth. On the other hand, I think Kenobi could have a witty exchange with just about anyone. I never quite figure out how punching helmeted heads seems like a good idea. Funny hearing James Arnold Taylor's voice coming out of the DW guy standing right next to Obi-Wan. I like the scene where she's talking to Kenobi and Vizsla simultaneously. I do have to wonder why they don't just shoot Obi-Wan. They could even have smashed him after he was dead. Yeah, Obi-Wan, shouting at her should really help her focus on saving you. They do a good enough job muffling his voice under the helmet that's it's not obvious it's Vizsla under the helmet. Kenobi busts out the Episode III lightsaber stance! That darksaber is one sweet blade. Apparently, Anakin isn't the only Jedi who likes to build himself up. Seems like Satine was on her way to maybe learning the lesson the Lurmen were forced to learn in their two parter. Vizsla never does get the "defeat me or die" line he had in the trailer. Next: Assassin droids go after the Duchess in "Voyage of Temptation"!